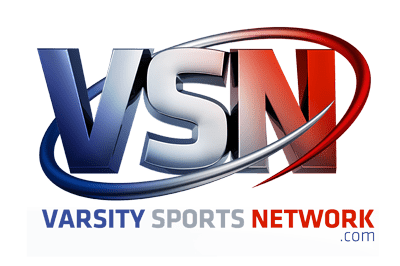 VSN ventured out to the 2018 Comet Girls Lacrosse Invitational, Saturday afternoon, to take in a showdown between No. 8 Century and No. 3 Bel Air, but the host and unranked Comets were the team making the most noise and probably vaulted themselves into VSN Girls’ Lacrosse Top 20 when the new rankings come out next week. After all, the Comets posted wins over No. 8 Century, 15-14, and Garrison Forest School, 19-10, of the IAAM A Conference, in frigid conditions, to improve to 6-1 this season. Catonsville senior midfielder Leah Marshall, who was also a demon in the circle with sophomore midfielder Sophi Wrisk, while winning 18 draws against the Knights, added five goals in the upset. However, the Knights (4-1) salvaged some wounded pride and may move up a few spots as well in the rankings after bouncing back in its second encounter to defeat defending Class 4A-3A state champion Bel Air, 8-7, also on Saturday. What made things more intriguing for the Knights is that they had to play the game without sophomore midfielder Grace Bruce, who sprained an ankle in the loss to the Comets after producing a game-high six goals. Moreover, Century dug itself a 3-0 hole against the fourth-ranked Bobcats (4-1), who registered goals by junior midfielder Grace Wehland and senior midfielders Lauren Asher and Elizabeth Hillman in just over eight minutes to open the contest. Century coach Becky Groves said that the deficit did not faze her team that much, considering that it had other obstacles — a talented Bel Air squad and the injury to Bruce — to overcome. Freshman Christina Haspert produced five points in Century’s bounce back win over Bel Air. The message was well received, especially by sophomore attacker Christina Haspert and freshmen midfielders Demma Hall and Madison Plitt, who took care of all of the scoring for the Carroll County school. Hall notched all of her game-high four goals in the first half while Haspert totaled five points on three goals and two assists in the victory. Hall sandwiched a free-position and severe-angle shot around an inside roll by Haspert to deadlock the score with just over six minutes remaining in the first half. Senior Julia Henry gave Bel Air its last lead by grabbing a feed from Whelen and rocketing a wicked shot over the left shoulder of Century sophomore goalie Claire Hollinger (4 saves) less than a minute later. The Knights answered with successive quick-sticks by Hall cutting to the goal on perfect feeds from Haspert to take a 5-4 lead at the intermission. Junior attacker Gabby Trzeciak tied it for the final time for the Bobcats less than four minutes into the second half. Plitt inched her team ahead on a free position and Haspert then took over, netting back-to-back unassisted goals to up the margin to 8-5 with just over 12 minutes left in regulation. Bel Air rallied when senior midfielder Caroline Fallace finished a fast-break and senior Keeley McHugh scooped up a tough ground ball in traffic, dodged several Knight defenders and whipped a shot into the net while sprawling forward on the turf. “She’s not a starter but she showed a lot of heart and hustle on the play,” Bel Air coach Kristen Barry said about McHugh’s effort. 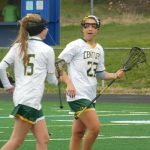 “We’ve been working on that,” Groves said, noting the Knights yielded four goals in a similar situation in a 16-11 win over Gerstell Academy. Barry said that her team did not properly recognize the situation. Haspert said the win was a unifying moment for the Knights. Goals: Century – Demma Hall 4, Christina Haspert 3, Madison Plitt; Bel Air – Lauren Asher, Keeley McHugh, Julia Henry, Grace Wehland, Elizabeth Hillman, Caroline Fallace, Gabby Trzeciak. Assists: Century – Grace Bruce, Christina Haspert; Bel Air – Maggi Hall 2, Julia Henry 2, Grace Wehland. Saves: Century – Claire Hollinger 4; Bel Air – Riley Patrick 6. Goals: Garrison Forest – Kennedy Lynch 2, Ellie Bossi 2, Brooke Gottlieb 2, Keely Lavin, Anne Fenwick, Kaylan Silva; Catonsville – Leah Marshall 5, Sophie Wrick 3, Kolby Weedon 3, Molly Buettner 2, Zoe Waddell 2, Bella Dunigan, Rory Black, Maggie Marion, Carly Gibbons. Goals: Bel Air – Maggi Hall 5, Caroline Fallace 4, Anna McQuay 2, Elizabeth Hillman, Gabby Trzeciak, Grace Wehland, Julia Henry, Lauren Asher; Garrison Forest – Kennedy Lynch 6, Kaylan Silva 2, Annie Fenwick, Keeley Lavin.